Wess Morgan is getting more popular by the minute. A hit song and first single "I Choose To Worship" is #7 on the R&R charts and climbing! Wess also just finished a straight to DVD shoot in Atlanta with Tyler Perry for his new play due in stores January 2011 which makes Wess Morgan the new man to watch in Gospel. His smooth and soulful vocals and riveting testimony as an ex-drug addict makes not only his music but his whole life inspiring. Under An Open Heaven Vol.1 is the first installment in powerful worship and celebration from Morgan's company, Bowtie World Music. 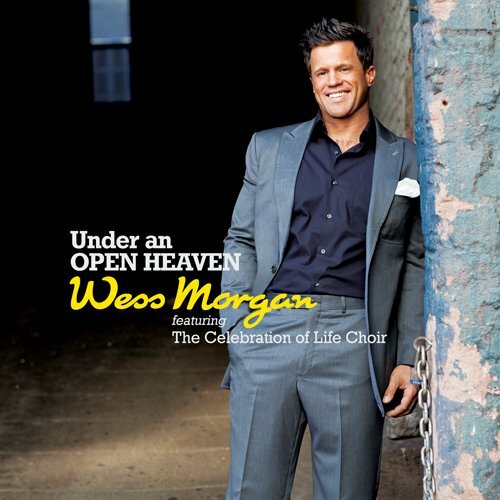 The project features Wess Morgan and The Celebration of Life Church Choir where Morgan serves as Senior Worship Leader and Associate Pastor.